Forget New York, Vienna, Strasbourg you should come experience the winter festivities in Edinburgh this year. The lights of the Christmas decorations sparkle like diamonds, cosy warm pubs with festive cheer, fabulous Christmas markets, the best shows and the streets smell of warm mulled wine drifting through the air. It truly is a magical atmosphere. Located in the historic Grassmarket old town, the perfect choice for those looking for a place to stay with personality. 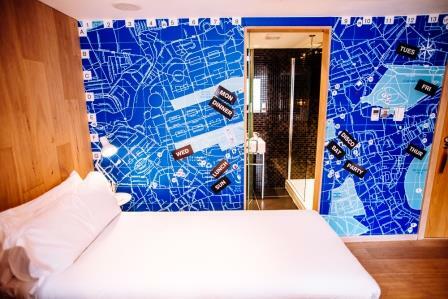 The rooms at The Grassmarket aim to surprise and are packed full of little quirks we hope you will enjoy. While they have stayed true to our roots with plenty of Scottish elements, there are a few twists along the way to make your stay stand out. 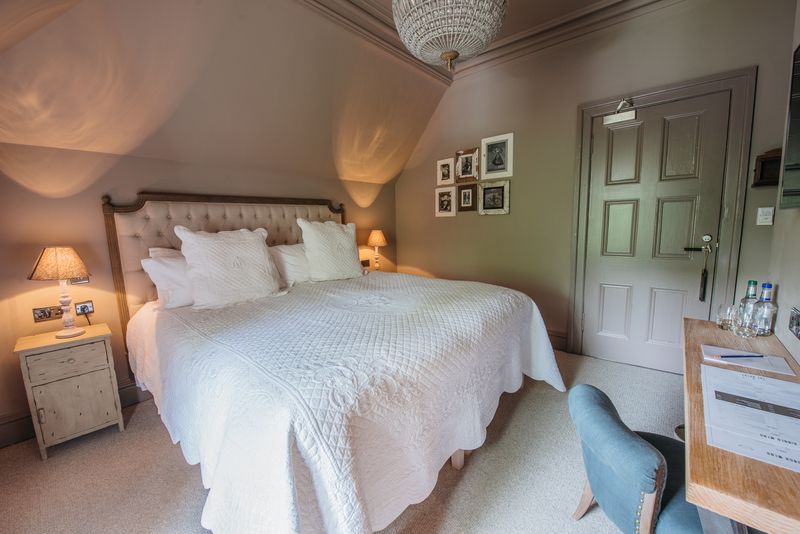 All bedrooms come complete with rainfall style showers, big comfy beds, bespoke toiletries that we think smell great and lots of other bits and bobs to have fun with, like the Sudoku wall and some unusual reading material. Situated directly on the Royal Mile, just off Princes Street. 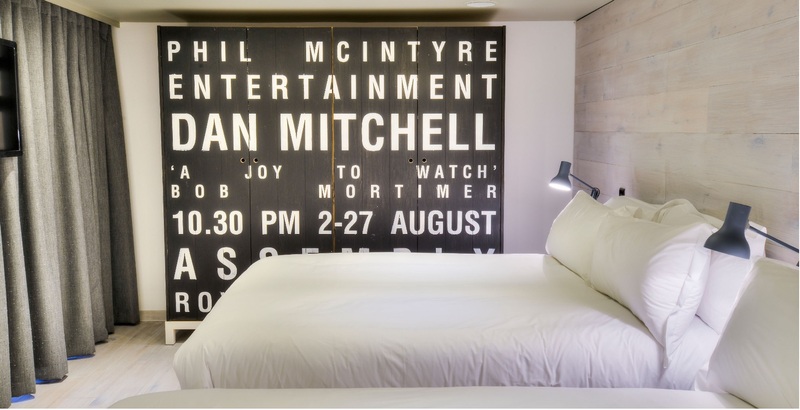 The Inn on The Mile offers an alternative luxury hotel experience in one of Edinburgh’s most prestigious historic landmarks. 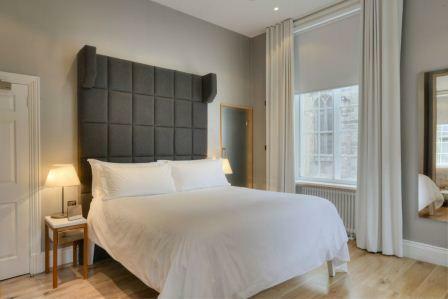 Hosting an intimate 9 beautiful fully refurbished boutique bedrooms ranging from the stylish ‘Mile’ bedrooms to the spacious ‘Royal Mile’ bedrooms, all with crisp and clean interiors and décor it is the perfect base to explore the city. STAY Central Hotel is located in the heart of Edinburghs eclectic Cowgate, surrounding the famous Three Sisters bar and is a short stroll from everywhere. The bedrooms are arranged by size they go S,M,L,XL,XXL and then there is the private DORM, a room so awesome it can sleep up to 9 guests. They want to be known forevermore as the wee hotel in the middle of Edinburgh that blew your socks off. The Murrayfield Hotel and House is located in the west end with ample free parking, just a couple of minutes away from Edinburgh Zoo (and its giant pandas) and the Murrayfield Stadium, Murrayfield Hotel and House combines fantastic hospitality, outstanding value for money and second to none homemade food, served in the traditional, friendly pub kitchen. Southpour – Relaxed dining and drinking in the shadow of Arthur’s seat. Biddy Mulligans – Scotland’s most famous Irish bar. Ghillie Dhu – For showstopping modern Scottish fayre and entertainment. The Inn on the Mile – Pub classics in the heart of the historic Royal Mile. The Three Sisters – Where you’ll find hearty grub and a lively atmosphere. The Golf Tavern – Nestled on the edge of the Bruntsfield Links. The Bothy – Great food and drinks a stone’s throw from the Zoo. Edinburgh is most certainly the perfect place to have some festive fun, get booked up now! Remember to apply promotional code XMAS15 when selecting your rates to receive 15% discount. If you can’t make Christmas time the accommodation discount is valid throughout the year. Why not take advantage if planning a trip to Edinburgh!